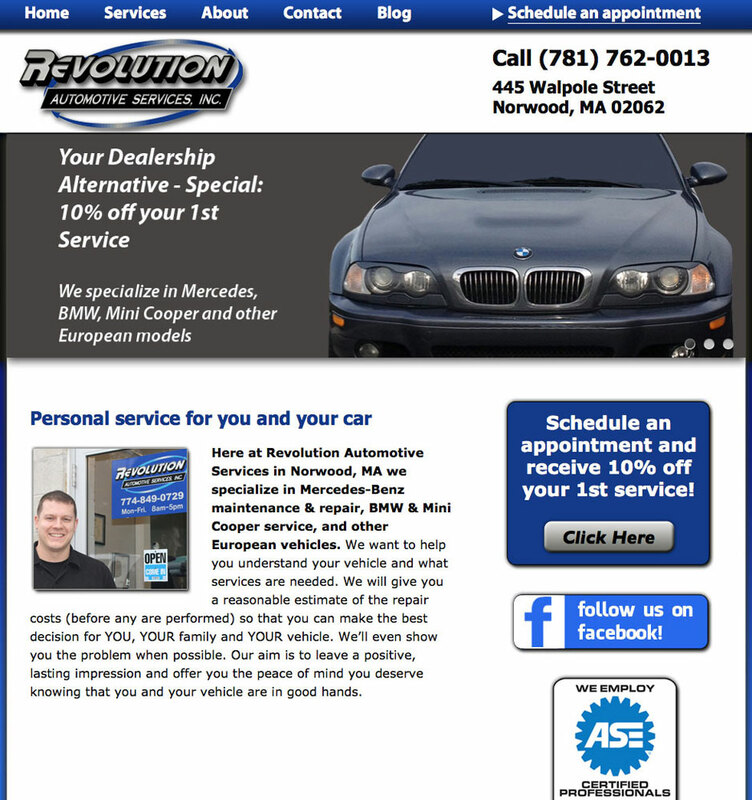 Revolution Automotive Services specializes in Mercedes and BMW service in Norwood, MA. 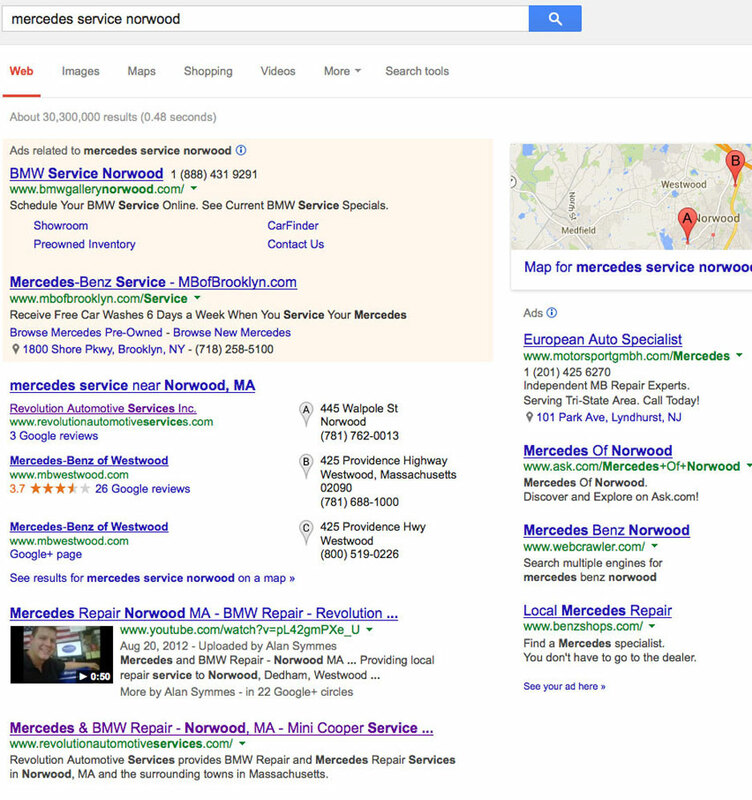 They were looking for a professional looking web design that was optimized so people in the local area would be able to find them when looking for BMW Repair, Mercedes Service and other related keywords. We worked closely with Alan Symmes, the owner until we came up with a design that was exactly what he was looking for. Since the website has gone live we have been providing online marketing consulting services and search engine optimization. We have been able to increase their traffic by 200% and have gotten their website to rank on the 1st page of the Google search results for 30 different keywords. I hired Rick and GetReady Web Marketing to develop my company’s website and I am very impressed and happy with the whole process from start to finish. I would highly recommend him for anyone in need of website development, improvement or even SEO work.